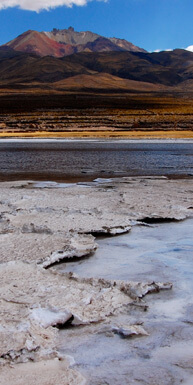 A true adventure to the world’s most remote wilderness, a world of immense scale and visual splendour! Vivid emerald, violet tints, intense blue and crimson light –a world of white desolation. Antarctica is home to some of the planet’s most impressive wildlife and most dramatic landscapes. Encounter whales, huge icebergs, enormous rookeries of penguins and stunning landscapes that few have ever witnessed. 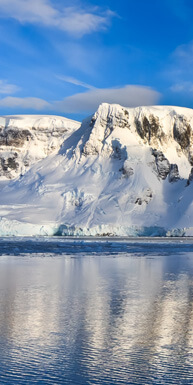 Antarctica – our planet’s last frontier – a mysterious and virtually pristine paradise. How to get there from South America? 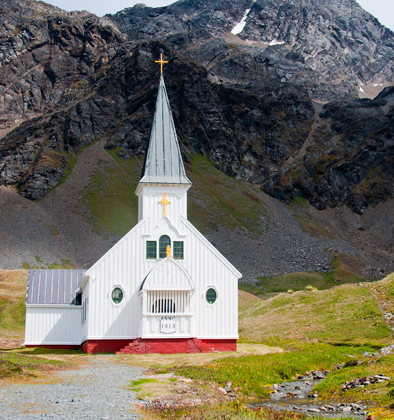 The southernmost city of the world, Ushuaia, in Argentina is the major thoroughfare for Antarctic cruises. 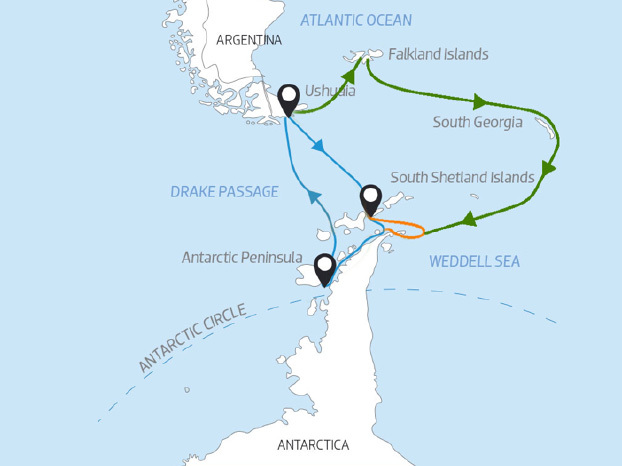 From here you can visit the Antarctic Peninsula as well as the sub Antarctic islands such as South Georgia and the Falkland Islands on your Antarctic cruise. A cruise will take anywhere from 10 to 21 days when leaving from Ushuaia, if crossing directly to the peninsula you can be there in as soon as one and a half to two days. Many ships cruising to Antarctica also have optional Antarctic activities such as kayaking, camping and snow-shoeing at an additional cost. The Antarctic Peninsula is the most popular due to accessibility and for the plethora of wildlife found. 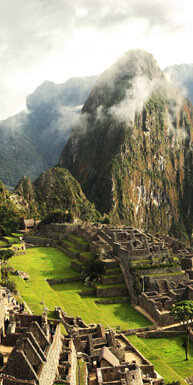 The coast offers a dramatic mountainous backdrop, being an extension of the Andes Mountain range. The scenery is stunning with snow-capped mountain ranges, glaciers, ice-filled channels and beautifully-carved icebergs at every turn. Add to that an abundance of seals, whales, seabirds and vast penguin colonies, and you have the makings of a journey of a lifetime! Many consider the Antarctica Peninsula to be the most beautiful place on earth. The main entrance to the lost continent. South Shetlands Islands is a string of islands located around 120 kms (75mi) north of the Antarctic Peninsula and 960 km (600mi) south of South America’s southernmost point: Tierra del Fuego. Only 2 to 3% of the archipelago is ice-free and this is the most visited destination for Antarctica explorers as here is where all cruises arrive and flights from Chile land. Wildlife is rich in this area, its domain is particularly of penguins, seals and whales but visitors will also have the chance to visit the human settlements as this is where most of them are set. King George Island, the main one of the South Shetlands, is the one where flights from Punta Arenas, Chile, land. 12 different countries have their Antarctica settlements located here, which makes this the least isolated island in the region. 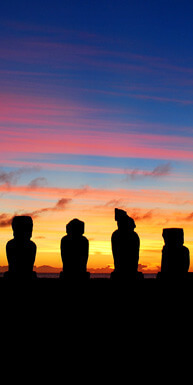 Exploring these islands will let its visitors follow the steps of legendary polar explorer Sir Ernest Shackleton, who led three expeditions to the Antarctic and has become well known for his formidable rescue effort of his crew, who were stranded on Elephant island after losing their ship to the wrath of the Antarctic sea ice, back in 1917. A true immersion into Antarctica will see you crossing the Antarctic Circle to the region officially known as ‘The Antarctic’, a place where a mid-summer day lasts 24 hours. As your Antarctic Circle cruise threads its way through the icy waterways, you will be in awe of the spectacular scenery that surrounds you. The land is dotted with numerous penguin and seal colonies, orcas and leopard seals patrol the waters and snow petrels soar above. You will be mesmerized not only by the landscape but also by the wildlife. Antarctic Circle cruise, crossing the Circle to the home of the midnight sun, desolate but beautiful landscapes, shifting ice and Weddell seals, to a place that few have been? Antarctic Circle, a point further south than most expeditions reach, a part of the world visited by few people and an impressive achievement. We make a champagne toast to the first explorers who ventured this far south. There is the potential for sightings of impressive icebergs in this part of Antarctica, home to the midnight sun. South Georgia is a remote yet magical island, exquisite in its beauty and virtually unspoilt by man. It is adorned with emerald green bays, blue glacier ice and formidable snow-covered peaks. South Georgia travel will expose you to one of the world’s greatest wildlife areas – the “Galapagos of the South”. 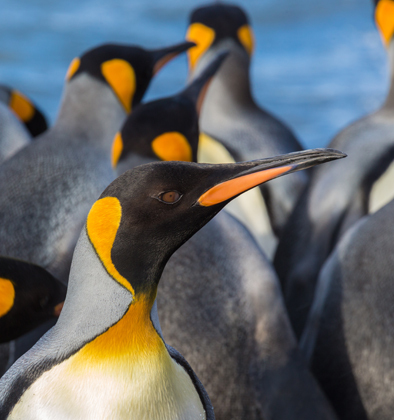 Home to over 30 million breeding birds, thousands of seals, the introduced Norwegian reindeer, four breeding species of penguin and the largest colony of king penguins on this planet – the island teems with life. South Georgia is also home to the macaroni penguin not often seen on the Peninsula and one of the very few places where you can see the nesting sites of the wandering albatross, a bird that boasts the largest wingspan of any bird in the world. If the spectacular wildlife is not enough of a drawcard, South Georgia travel will bring you to a part of the Antarctic that is steeped in history. The island was an intrinsic part of Sir Ernest Shackleton’s 1914-17 Trans-Antarctica Expedition in the Endurance, one of the most incredible adventure stories and most heroic survival stories of all times. South Georgia was once the centre of the whaling industry and an Antarctica cruise to this part of the Southern Ocean will give you the opportunity to see the relics and remains of abandoned whaling stations and to visit the grave of the intrepid explorer, Shackleton. Head east for nearly 500 kilometres from South America’s southern Patagonian coast and you will reach the remote, isolated and ruggedly beautiful archipelago of the Falkland Islands. Falkland Islands Antarctica cruises allow you to explore these sparsely inhabited islands, with their rough windswept terrain, coastal wetlands, beautiful white sand beaches and dramatic rock faces set against stunning skies. 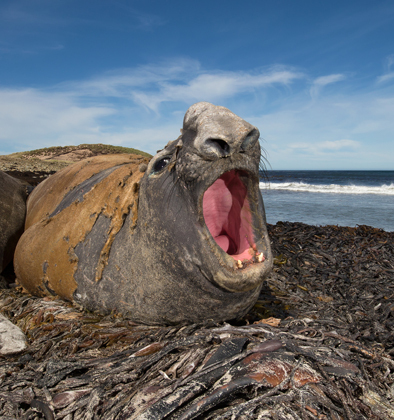 Comprising more than 750 islands in the South Atlantic Ocean, the Falkland Islands are a haven for wildlife – home to large colonies of elephant seals and fur seals, vast populations of black-browed albatrosses and other abundant birdlife including five species of breeding penguin. Surrounded by decades of controversy, the Falkland Islands (or Islas Malvinas as they are known in Argentina) have been settled and claimed by France, Spain, Britain and Argentina. Travel to the Falkland Islands will give you an insight into the area’s fascinating history and reveal some of the haunting relics and memorials of war. The colourful seaside town and capital, Port Stanley, boasts many reminders of its British heritage including a selection of traditional English-style pubs, old red phone boxes and numerous Land Rovers – in fact some say that the people here are more British than the British themselves! The M/V Ushuaia started out in the service of the United States National Oceanic & Atmospheric Administration Agency. It was then transformed into an ice-strengthened Polar vessel, having undergone a complete refurbishment. With accommodation for up to 88 passengers in 46 comfortable cabins and suites, the ship also boasts a large dining room, observation lounge and bar, ample deck space, conference room with multi-media equipment, library, infirmary and an open bridge policy. Superb landings and wildlife viewing opportunities are possible due to the fleet of Zodiacs carried on board. The team of expedition leaders and lecturers are all extremely knowledgeable and enthusiastic and dedicated to the protection of the environment, whilst the captain and crew are highly experienced in Antarctic navigation. Sail aboard the remarkably comfortable Sea Spirit and experience the Polar Regions in grand style, sleeping in spacious suites. She has been refurbished for the 2017/2018 season so your surroundings while aboard will be the perfect cosy complement to the icy landscapes outside. Carrying a maximum of 116 passengers this outstanding vessel, approved for Polar waters, is equipped with inflatable rubber boats (Zodiacs) – for shore transfers and cruising. Kayaking and camping options are available on select departures. All suites have en-suite facilities, exterior views and are equipped with king-size beds or twin beds if preferred. Deluxe Suites, Premium Suites and the Owner’s Suite have private balconies for viewing the breath-taking landscapes of Antarctica. The public areas include a reception, restaurant, outdoor bistro, club lounge, library, presentation lounge, infirmary, gym and bridge. Enjoy the amenities of a fine hotel, while a resident photographer helps you take brag-worthy photos. Owner’s Suite is an outstanding 437 sq. feet (40 sq. metres). Welcome to the Ocean Atlantic. This small, ice-class expedition cruise ship with spacious outdoor areas underwent a full modernization in 2015 so has a contemporary and expertly designed feel. The cabins are well equipped, the suites spacious and you can relax in the tastefully decorated communal areas. With 140 crew members, every passenger can expect outstanding service while onboard. As an ice-class vessel, the Ocean Atlantic is up to the challenge of sailing in ice-choked polar seas. It has its own fleet of Zodiacs for shore landings and there are covered lifeboats on board with capacity for all passengers and crew. As a relatively small ship, it is possible to sail close to the shore and access narrow inlets. There are 118 cabins, inside and outside, all with private bathrooms, hairdryers, individual temperature control and TV. Safe, sturdy and fast, the M/S Expedition is amongst the most comfortable and spacious expedition ships in its class, with great stability and performance in rough conditions. 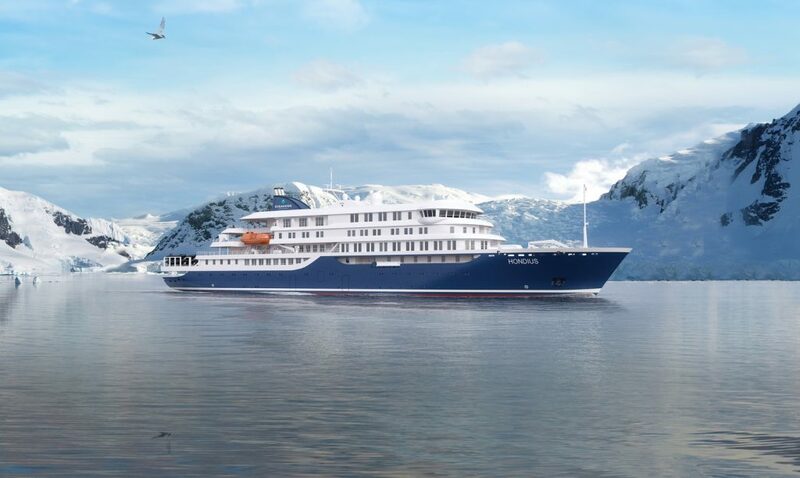 With a focus on top of the line safety and comfort, the M/S Expedition has been transformed into one of the world’s leading Polar expedition cruise ships, an ideal vessel to ply Polar waters. The ship features large common areas and observation decks including a 360° Top Observation Deck that provide panoramic views of the stunning landscapes of Antarctica. Accommodating up to 134 passengers in spacious cabins, each featuring portholes or ocean-facing windows and private en-suite facilities, the M/S Expedition provides space and comfort whilst still offering an intimate small-ship cruise experience. The ship also boasts a gym, sauna and barbecue facilities. The M/S Expedition continues the tradition of ground-breaking Polar expedition travel, taking travellers to the destinations that have inspired bold explorers for centuries including the great white continent of Antarctica. Built in 1976 in Yugoslavia, the Ocean Adventurer underwent extensive conversion and refurbishment in 1999 with a further extensive upgrade in 2017. This comfortable ship carries a maximum of 132 passengers, accommodated in 66 cabins all with private en-suite facilities, exterior views and each equipped with a TV and DVD player. The ship also features a large multi-purpose lounge and presentation room, bar, spacious window-lined dining room and exercise room. There are ship-to-shore satellite communications with email and wireless internet access on board. The Ocean Adventurer with its ice-strengthened hull was designed specifically to carry travellers to the remotest corners of the world. 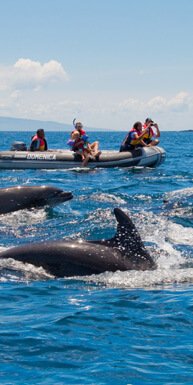 It is equipped with a fleet of Zodiacs for shore transfers, landings and Zodiac cruises. There are also 4 partially enclosed lifeboats on board. Experience the Antarctic in comfort as you sail aboard the Ocean Diamond, a modern, stable super-yacht, its two stabilizers and ice-strengthened hull making it ideal for Polar expeditions. The 101 cabins and suites can accommodate a maximum of 189 passengers. They are all elegantly designed and feature exterior views, en-suite facilities, flat-screen TV’s and DVD players. Single cabins have one double bed, twin cabins have one double or 2 twin beds and triple cabins have one double bed or two twin beds, plus a third pull-down berth. 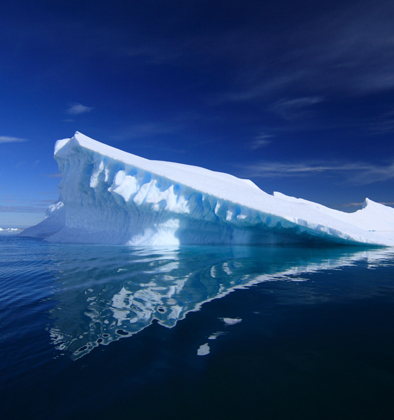 The Ocean Diamond is one of the fastest, most comfortable and most eco-friendly ships to ply the Antarctic waters. There are expansive common spaces, club lounge, theatre-style auditorium, spacious restaurant, well-stocked Polar library, clinic and panoramic observation lounge as well as amenities such as massage and wellness programs, adventure options and interactions with photography instructors. All meals are chef-prepared and the bar is staffed by a professional bartender. Internet access and remote headsets for remote presentations are available. Zodiac cruising, snowshoeing and hiking are all included bringing you in close contact with wildlife, icebergs and stunning Polar scenery. Other optional activities include kayaking, cross-country skiing and mountaineering. This small, comfortable, well-appointed expedition ship has been expertly engineered, making it ideal for exploring the Polar Regions. With its ice-strengthened hull and Zodiacs for exploration and remote landings, the ship also features advanced navigation equipment. The ship offers a superb guest experience with an extensive range of cabin options, spacious lounge, contemporary dining, lecture theatre, library, polar boutique, sundeck, and plenty of deck space for observation of polar landscapes. The Ocean Endeavour is also the only adventure ship in Antarctica that focuses on health and wellness with a range of newly-designed health and fitness features. From the “His and Hers” saunas, to the heated salt water pool, gym, spa treatments and yoga classes, the ship offers services and amenities that will enhance your Polar expedition experience. In addition, there is a juice and smoothie bar and a wellness café. Ocean Endeavour is the first ship in Antarctica to offer a limited number of dedicated SINGLE CABINS available to solo travellers at absolutely NO SUPPLEMENT! Additionally, for those who are interested in our share program, Ocean Endeavour has newly renovated “twin window plus” and “twin porthole plus” cabin categories, that feature two bathrooms. Departing from Punta Arenas, south of Chile, flights to Antarctica are possible for those with fewer time to explore this destination or who want to avoid crossing the rough waters of Drake Passage on a ship. Here we present you the flying alternatives to Antarctica. The aircraft will fly over the Magellan Strait, Tierra del Fuego Island, Darwin Mountain Range, the mythical Cape Horn and the raft Drake Passage. Finally arriving at King George Island, gateway to the white continent, where most of the Antarctic scientific bases are located. 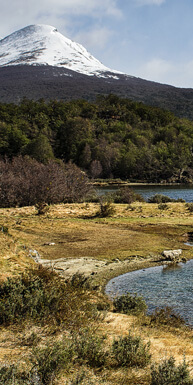 Here you can also find the Chilean village “Villa Las Estrellas”, place where several Chilean families live all year round. 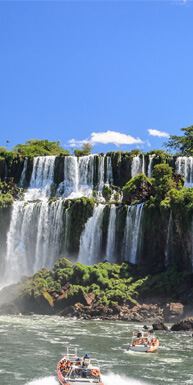 Every flying program includes transfers from Punta Arenas Airport to your hotel and a 4-night accommodation in Cabo de Hornos hotel or similar (breakfast included). A transfer will pick you up from the hotel to Punta Arenas airport to board Dap plane with destination to King George Island (Antarctica). At your arrival you will be welcomed by our ant-arctic-expert tour guides who will take you on a tour visiting different areas of the island like Villa Las Estrellas (first settlement inhabited by civilians), Orthodox Russian Church (At Bellingshausen Station), navigation on a zodiac boat to Ardley Island to visit some penguin colonies (Gentoo, Chinstrap and Adelie) and navigation around Collins glacier. The return to Punta Arenas will be after a 5-hours tour (weather permitting) and at your arrival the transfer will take you back to the hotel. 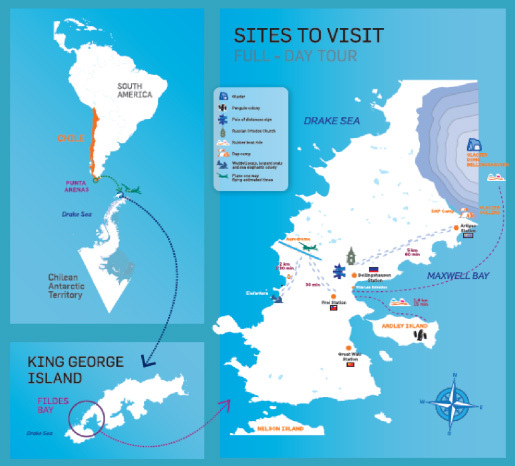 From Punta Arenas to King George Island; each flight takes, approximately, 2 hours. After the activities of the Full day, passengers will be taken to the Ice Camp based on Collins glacier, located about 5 kms (6 miles) from the runway, where you will stay overnight. This ice camp includes a thermic tent (module) as a dining room for the whole group, one special tent as a basic expedition toilette and three different small thermic and special tents (small modules) for two people each one, to spend the night. Next day you will have a walk to the “Elefanteras” (sea elephant colony) located in the Drake Passage Area, a visit to the Chinese station “Great Wall”. It is also possible to visit other tourist attractions, depending on the weather conditions, before returning to Punta Arenas. LOOKING FOR ’S TOP DESTINATIONS?